A fascinating pair, Tim Ross (Cash) and Liz Lawrence (David)'s output thus far has been, as far as we're concerned, flawless. Lawrence's ghostly distant vocals move over clipped beats and vibrating bass in this minimal electronic pop. With so little going on, it's quite fascinating how addictive the song actually is. 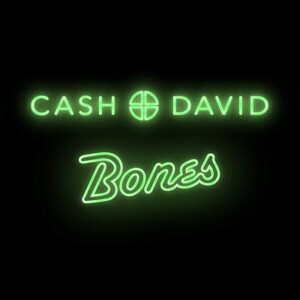 If you're a fan of The Knife, this kind of steady plod will feel familiar, but Cash+David add a folk-mentality in the song writing. Ross actually produced Lawrence's folk solo album when she was just 19. Their music gives off an overriding sense of meticulous perfectionism, and an enviable skill of knowing when enough is enough. Their debut single 'Funn' was released earlier this year, so it's still very early days for these experimental genre-blenders.